American Center for Physics - Brings together in one building the American Institute of Physics, the American Physical Society, the American Association of Physics Teachers, and the American Association of Physicists in Medicine. American Association of Physics Teachers (AAPT) - Programs, publications, meetings. American Institute of Physics (AIP) - At the time of its formal incorporation in 1932 AIP comprised five societies: The American Physical Society, the Optical Society of America, the Acoustical Society of America, the Society of Rheology, and the American Association of Physics Teachers. A new set of Member Societies was added in the mid-1960s: the American Crystallographic Association (1966), American Astronomical Society (1966), American Association of Physicists in Medicine (1973), American Vacuum Society (1976), and American Geophysical Union (1986). Also see Scitation, designed to help researchers find information published in American Institute of Physics (AIP) journals. American Physical Society (APS) - Physics Today, APS News, and other Society publications. 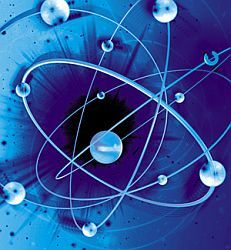 Physics research journals; other physics resources. Biophysical Society - Biophysics, Biophysical Society, Biophysical Journal, F.A.S.E.B., abstracts, peer review, biomedical publication. Institute of Physics (IoP) - An international learned society and professional body for the advancement and dissemination of physics, pure and applied, and promotion of physics education. Also see IOPscience: Electronic Journals from The Institute of Physics Publishing. Rencontres de Moriond - Since its foundation in 1966 by Jean Trân Thanh Vân, the Rencontres de Moriond bring together physicists for in-depth discussions in a friendly and relaxed atmosphere. The meeting is intended to promote fruitful collaboration between experimentalists and theorists and between various institutions by bringing together a limited number of physicists and astrophysicists in beautiful and inspiring surroundings. Each year several sessions are organized concerning different domains such as Electroweak, QCD, Cosmology, Gravitation, Astroparticle or Nanophysics. This webpage last updated on Thursday, January 28, 2016 10:54 AM.